Alan Richardson is a modest man, very modest for someone with his background and number of books he has written. He talks to us about the advantages of having a pen-name (which he hasn’t) and why it is that he just has to write, even though the reality of an author of occult books is different from what many might imagine. He shows us his humour which sounds very British to me, and we learn about the man and his deep connection with the esoteric world which led him to that very special relationship he seems to have with Violet Mary Firth, better know to us under the name of Dion Fortune. But he also gives us his critical view of both the occult world of our time and of the big names of his youth. Did you know the real origin of many of those grand sounding magical names of the early members of the Golden Dawn? Alan will tell you! And then there are his contacts with Kenneth Grant, William E. Butler… spend this hour with us and appreciate yourself! His best known books are Aleister Crowley and Dion Fortune: The Logos of the Aeon and the Shakti of the Age, Letters of Light, The Magical Kabbalah, The Inner Guide to Egypt and of course Priestess – The Life and Magic of Dion Fortune, to name just a few. 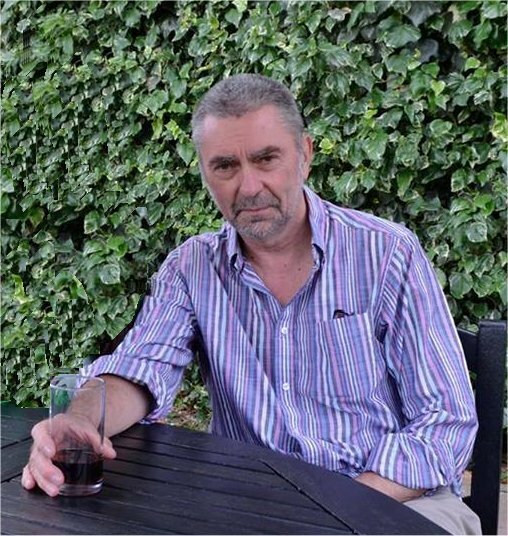 I would also like to invite you to discover his latest booklet, “Me, myself and Dion Fortune”, where in just about hundred pages he gives us an overview of the last 50 years of the world of British occultism, and along the way also about his own life. Nice first episode Rudolf! I look forward to seeing how your show and website develops. Thanks Aaron, really nice to hear from you! With your podcast featuring Alan Richardson und the musical interlude by Wendy Rule you established a standard in occult podcasting. It was a pleasure to hear it. Thanks so much, Sue, I really appreciate!